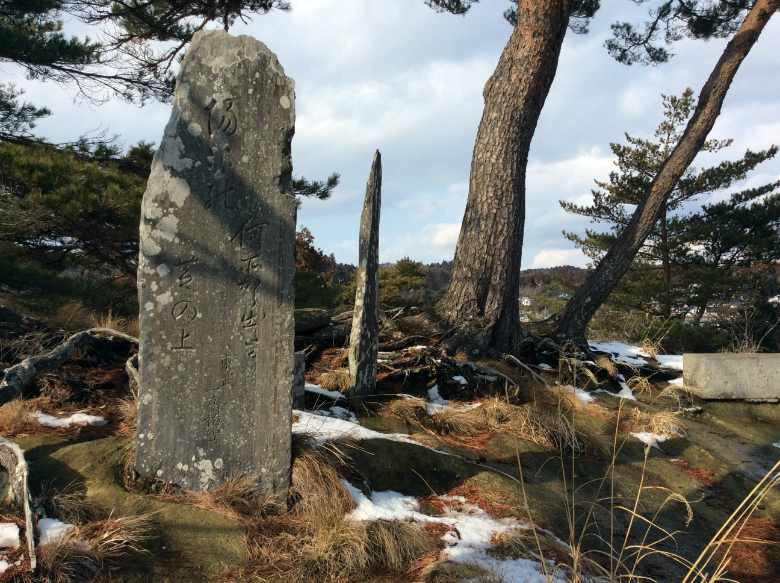 It was January and the Japanese town of Shichigahma was barren, the rice fields turned to a thick mud and the roads steely and slippery with ice. Overnight, as we peered out from the warmth of our floral futon bed, the sky has turned into a whirling white blizzard. 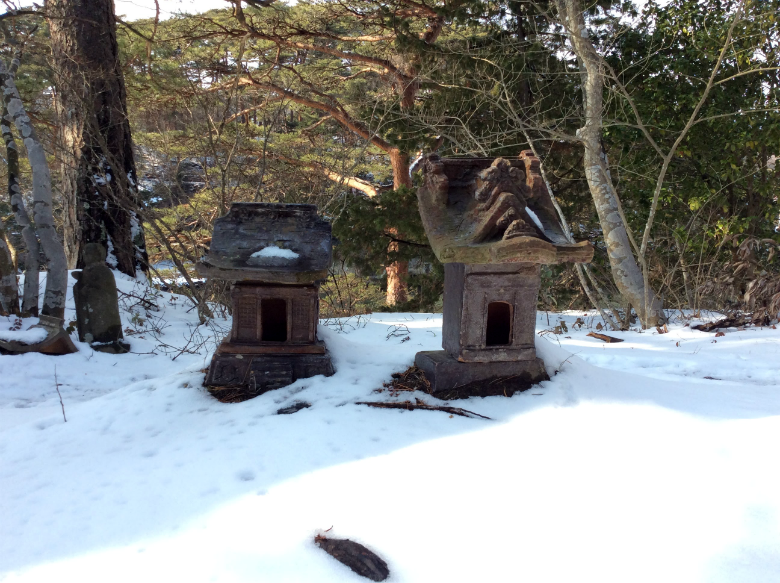 We had followed Basho’s path to the north of Japan and found ourselves in a snow covered paradise. 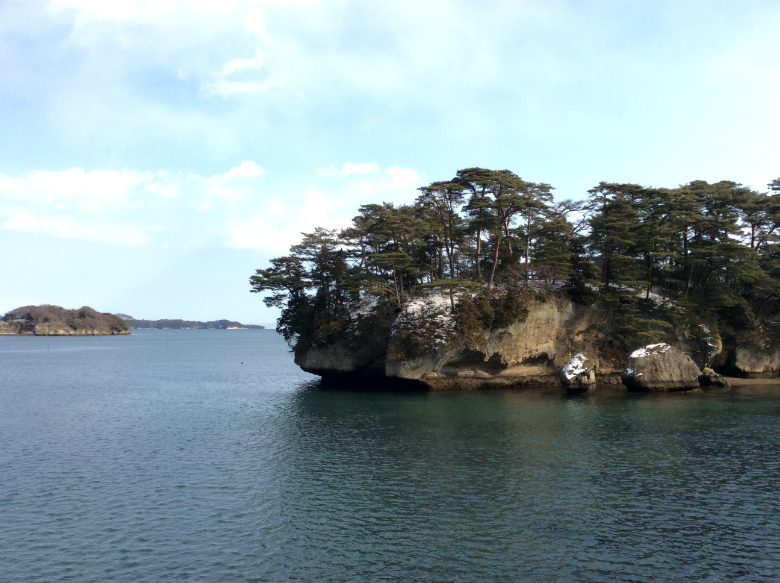 The next morning, in layers of thermals, gloves, and hats, we set off to seek out the famous islands of Matsushima. Passing the next door neighbour as we left we called "good morning." 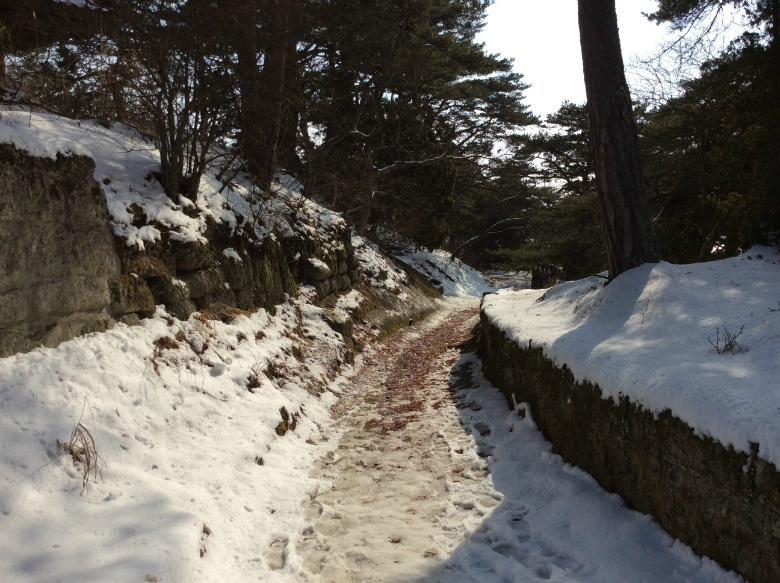 He was busy clearing his driveway of snow and told us to be careful; the houses in the town are built on high concrete structures with slopes down to the road which work as a defence against tsunamis. 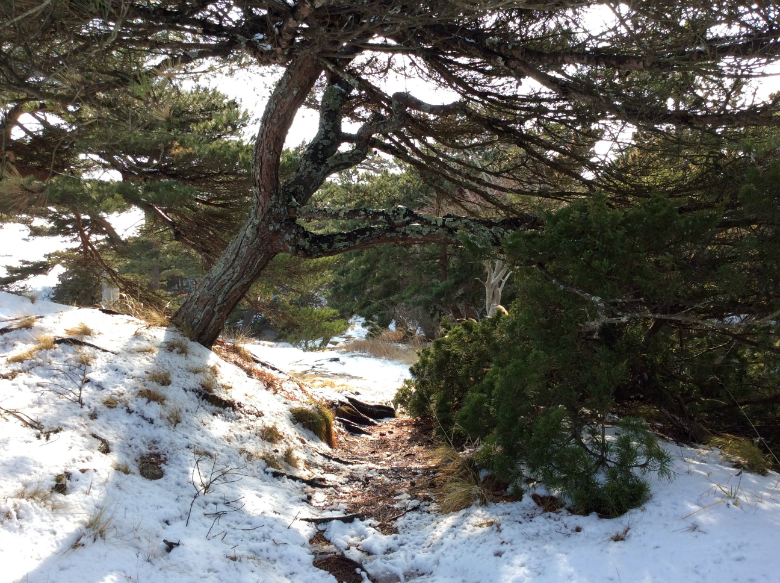 The slopes were slippery and wet with snow and ice. The neighbour asked us where we were going. "Walking." we replied. We walked along the empty road, passing some builders who looked at us in blank disbelief and stuttered a shocked hello as we said hello to them. 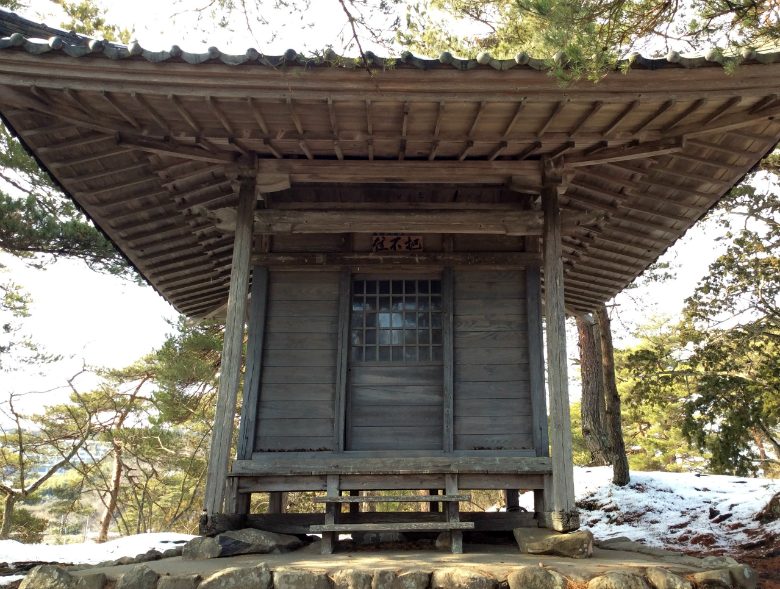 We hiked up to the local Shinto shrine, Tamonzan, with views that overlooked the sea. 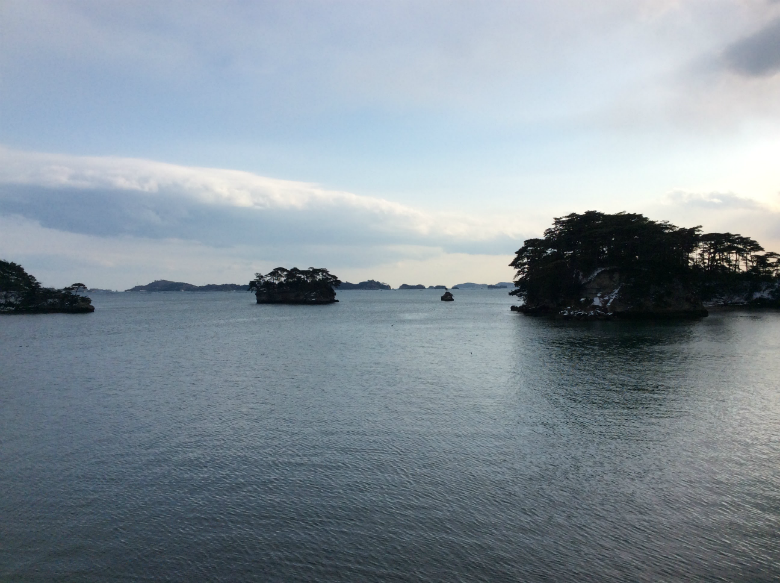 The view from Tamonzan shrine is the Grand View, number four of the four panoramic views of Matsushima. 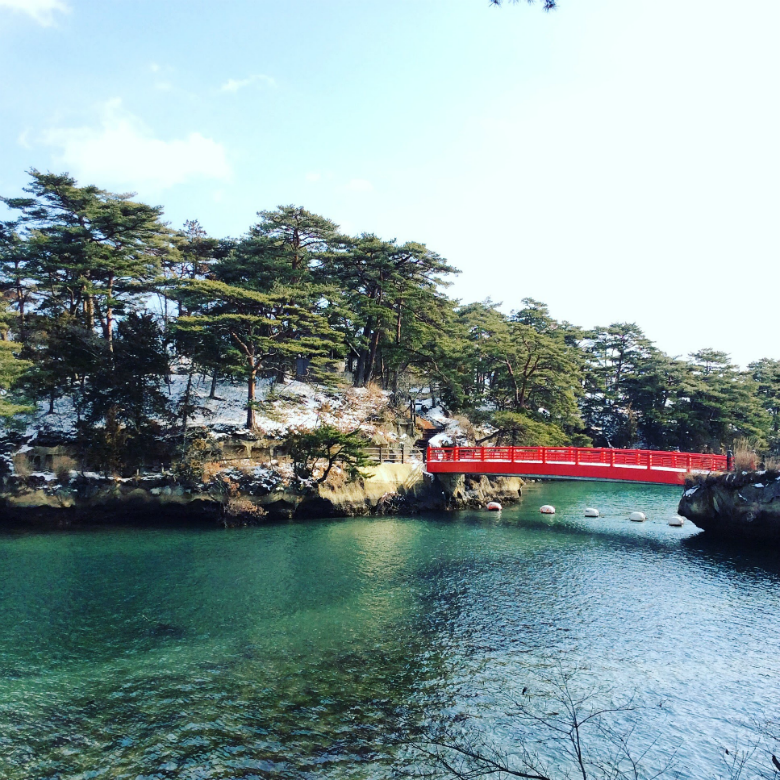 The famous islands are one of Japan’s top three scenic spots. 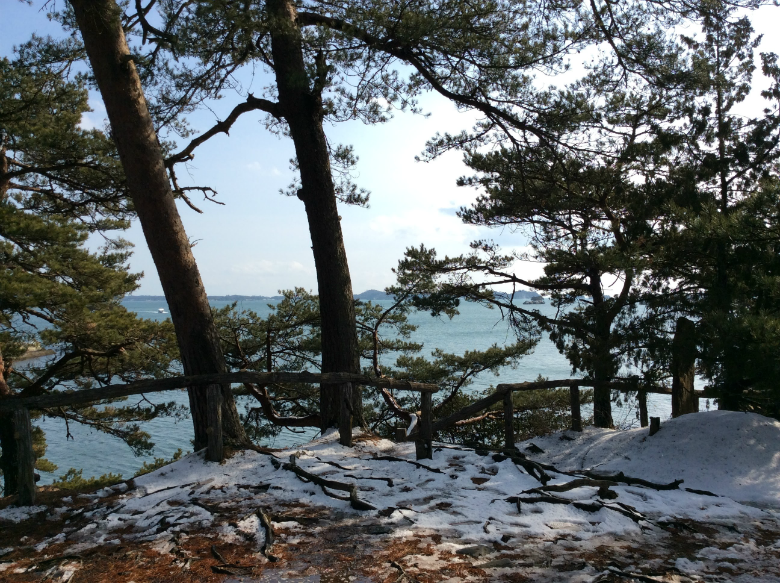 From where we stood the islands scattered below spread out beneath us, the pines that grew from them stretched and bent into horizon, etched on the landscape like a Hokusai piece. 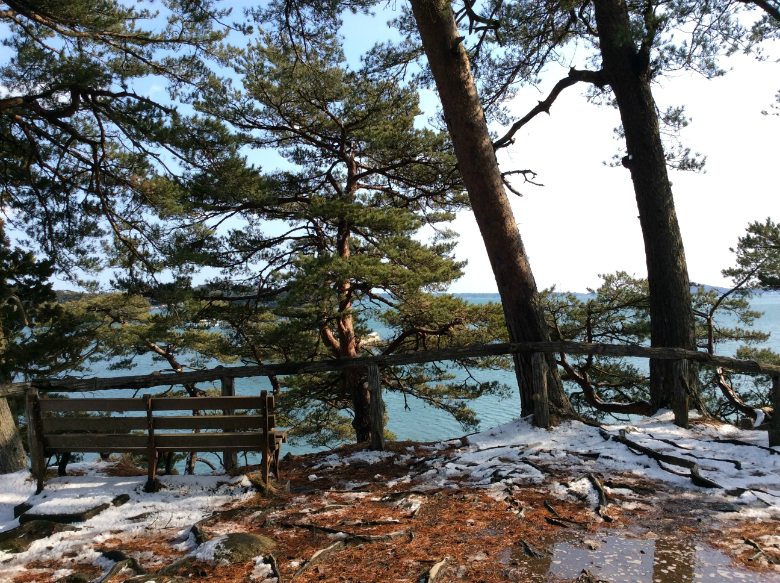 We sat in the cold on a bench and took in the seascape. The beauty of the famous coastline revealed itself as we watched industrial boats tick on their way to different islands on different bussiness. 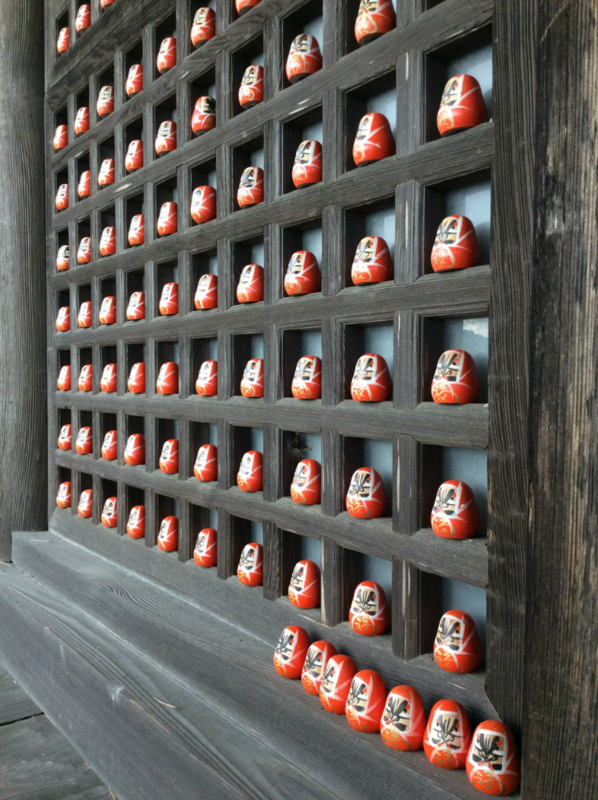 This is Japan, a view that could not be replicated anywhere in the world, every detail so Japanese in its origin. 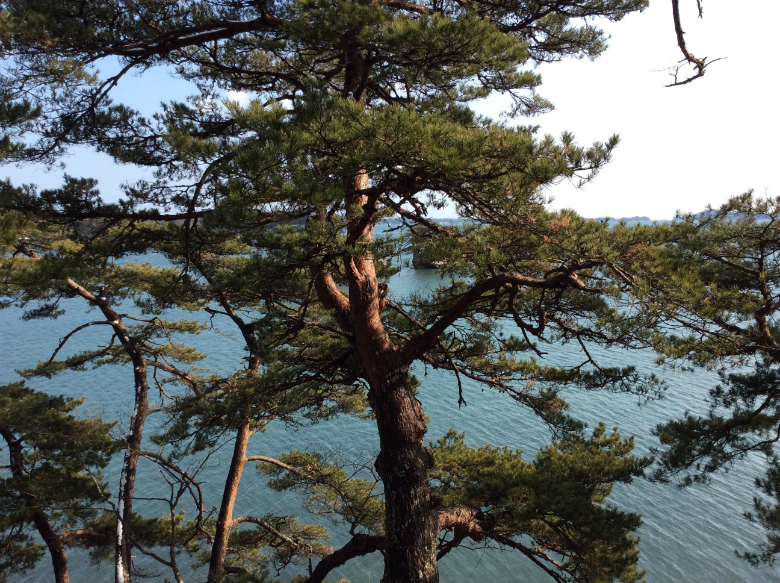 Even down to the threat of Tsunami, everything of this place is stitched with the centuries of people who have come here to view these islands and who have sighed at the beauty of the pines. 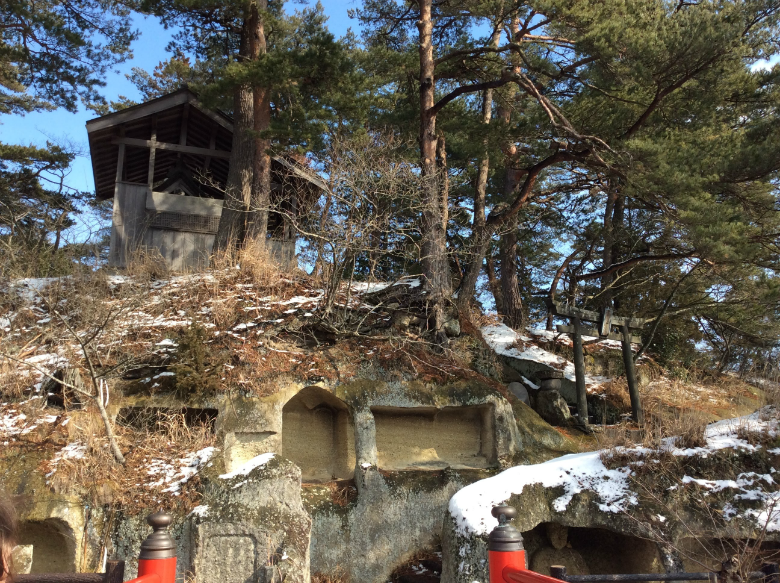 Basho, the famous Japanese haiku poet said everything that needs to be said in his travel journal, Narrow Road to the Deep North. 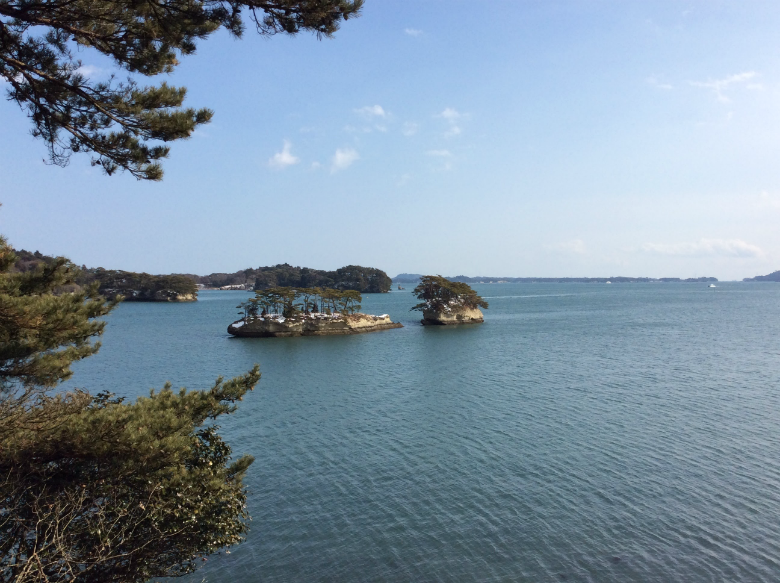 The following day we caught the train from Shichgahama, ten minutes away, to Matsushima itself to seek out some more of those famous views and explore some of the islands on foot. At the station we left the small crowd of domestic tourists and followed three girls over the road to a stairway carved into some rock. 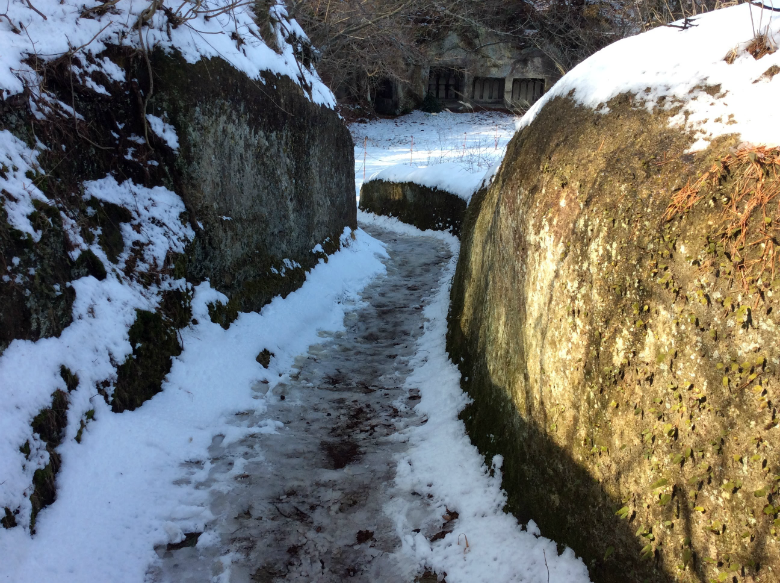 The steps we coated in ice and the girls we had followed were slipping and sliding their way up them. 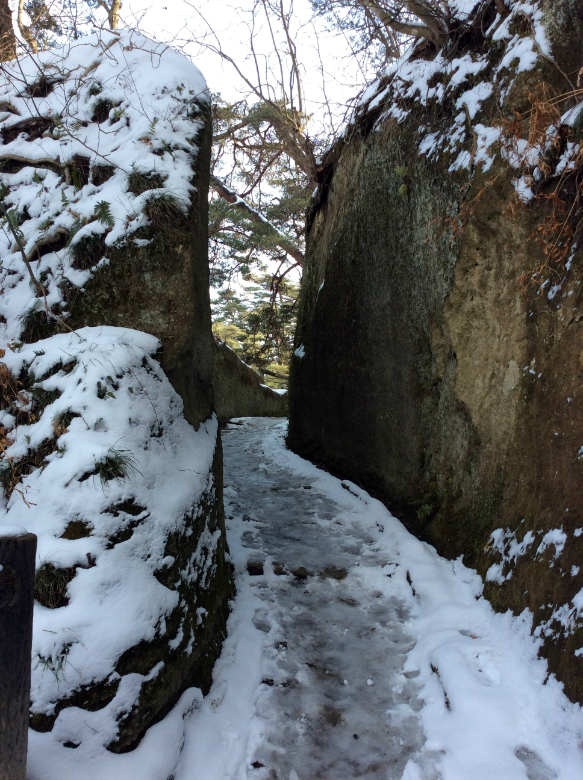 We followed them in the same manner, unaware of where we were going or where the stone staircase would lead us. 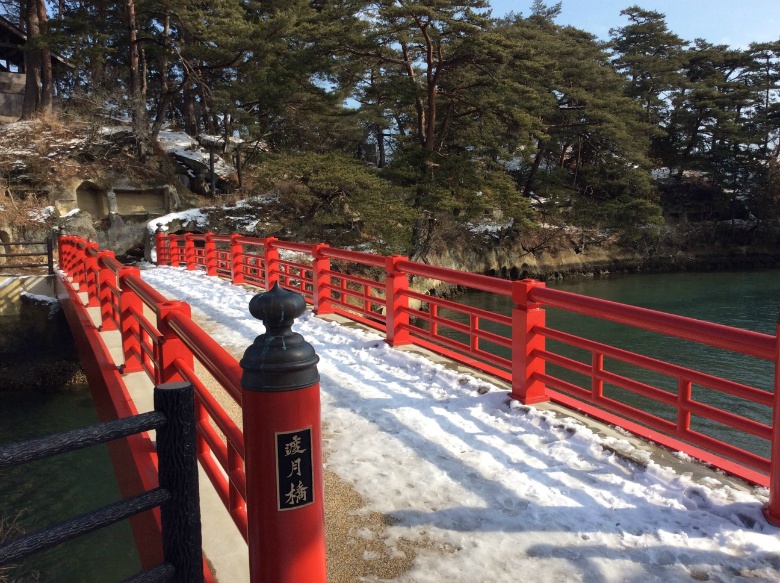 The stairs led to are red wooden bridge which connected to one of the island. 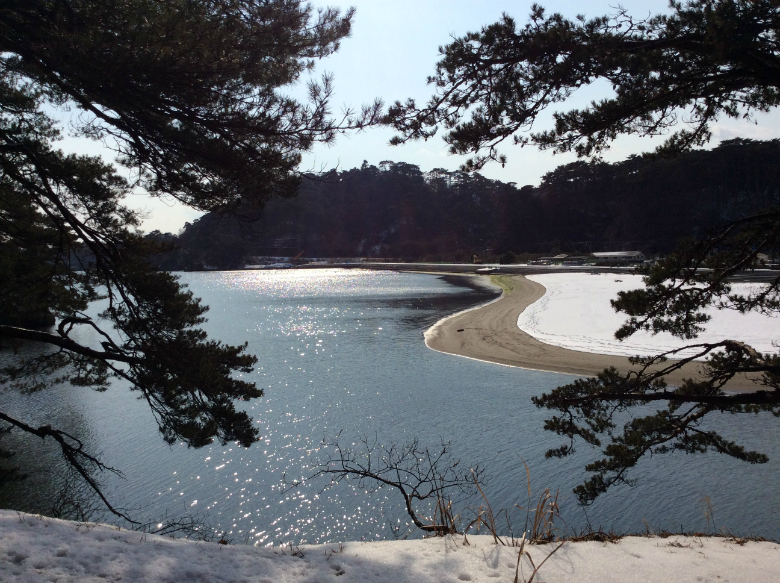 The delicate beauty of the perfect islands and their beaches covered in snow was almost unbelievable. 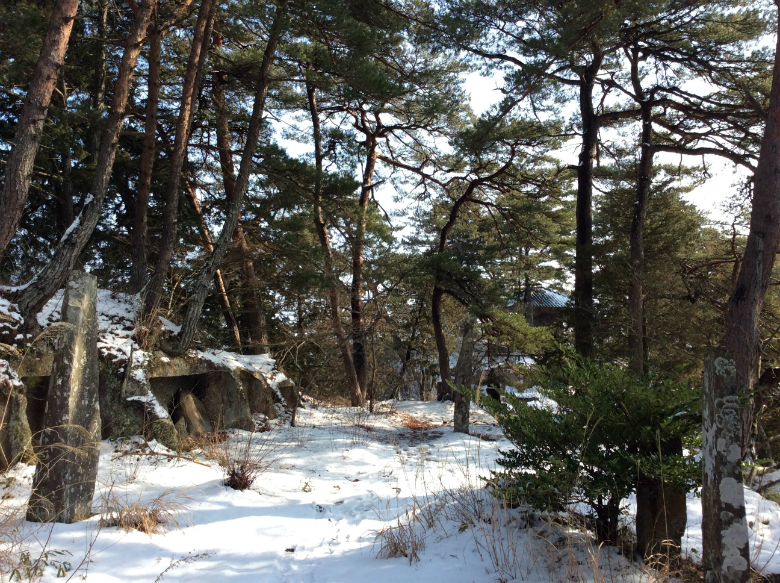 Like a scene from a Japanese postcard of times long before. 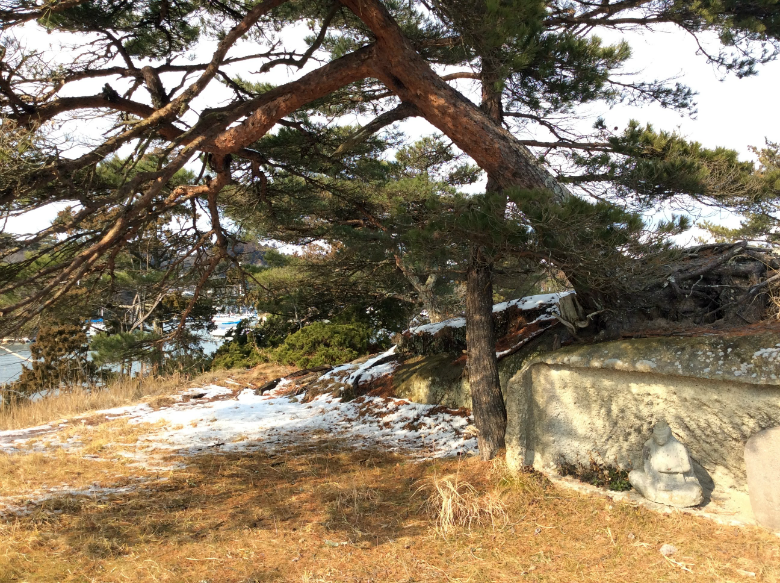 We ran around the small paths made by footsteps epochs before ours, exploring the island with excitement. 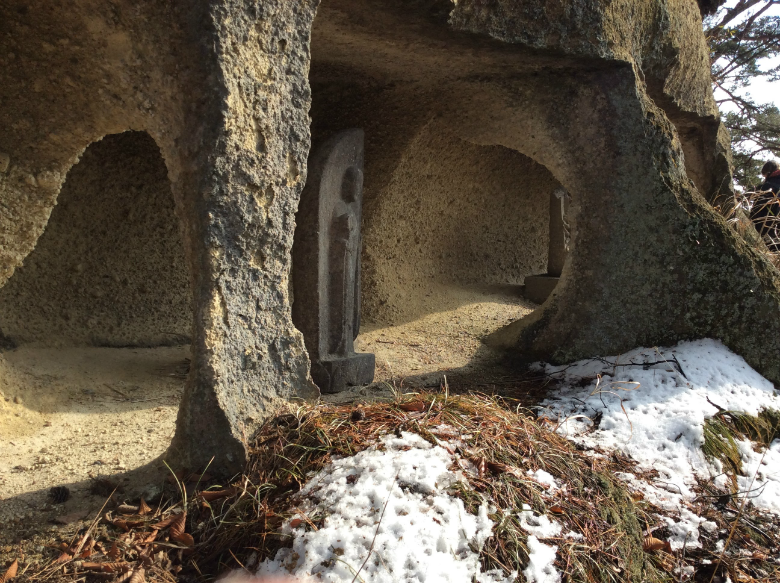 It turns out that The Legend of Zelda is actual real life. Well, that’s the funny thing about being in Japan: after playing Japanese games for so many years, everything in the games starts to makes sense and come to life. 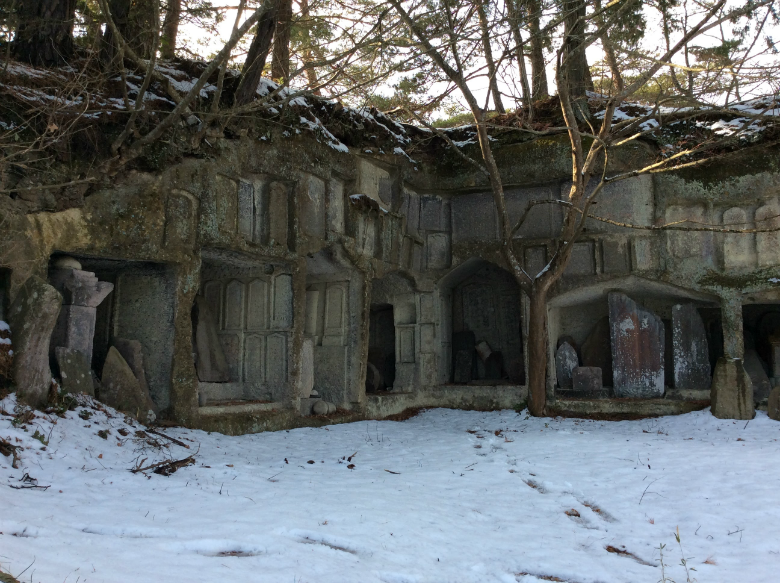 The paths and the forests, the small statues and the secret holes. 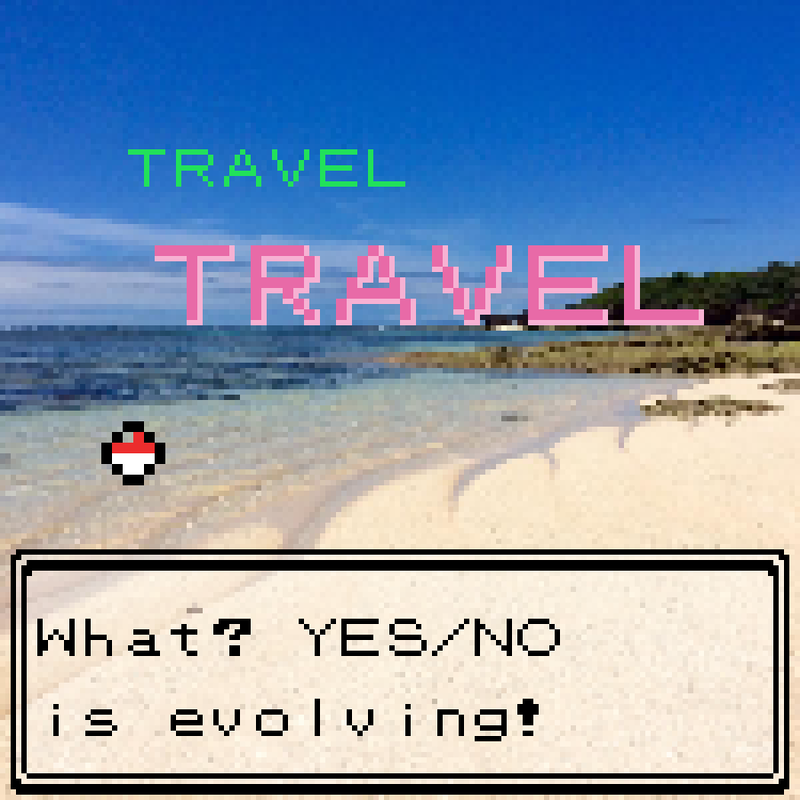 It was like entering into an actual Zelda game. 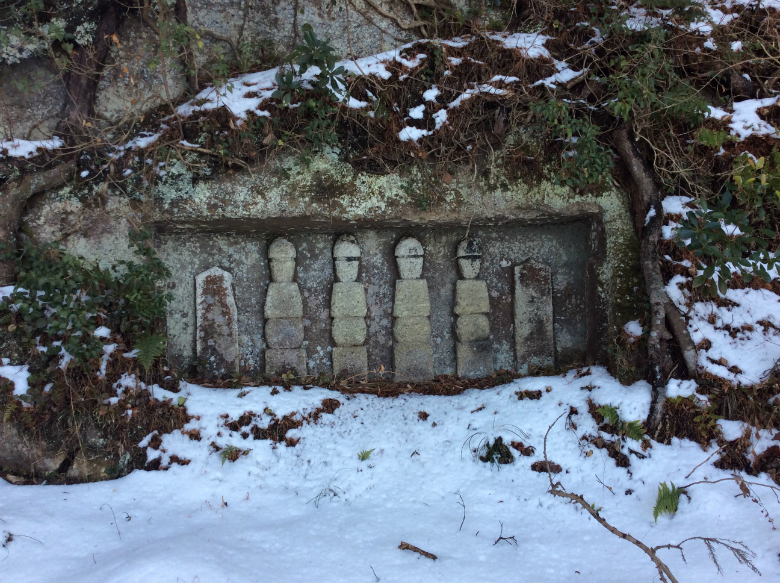 This particular island had home to many different hermits over the years, each now represented by small statues. 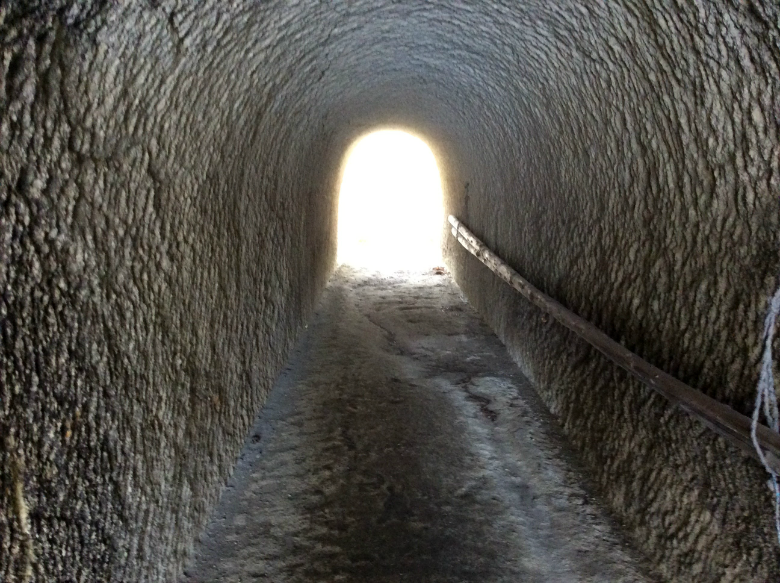 We clamber through the holes and caves that the hermits had inhabited. 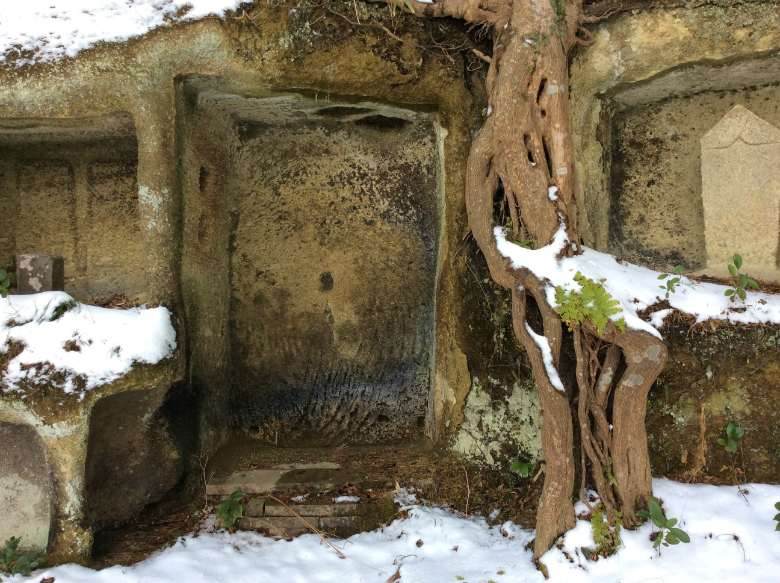 We hid and laughed at how we even found ourselves here on snowy islands in a world of such delicate details - we were from grey old England, this isn't where we were meant to be. 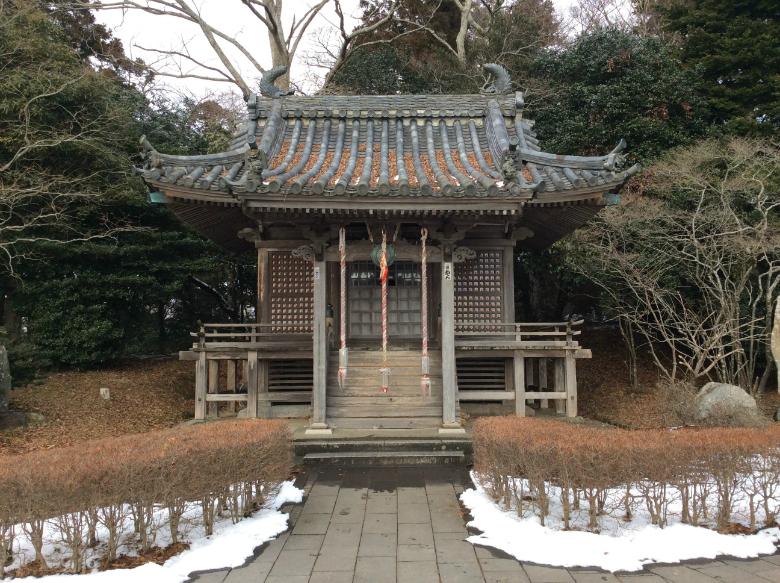 We stood and listened to the steady drip of the snow melting from the thatched roof of the Shinto shrine and falling to the smell of the carpet of wet pine needles. This was paradise, not the desert-islands-tropical-sunshine paradise but a paradise so perfect and ancient it felt like being back in the past before everything that exists now. 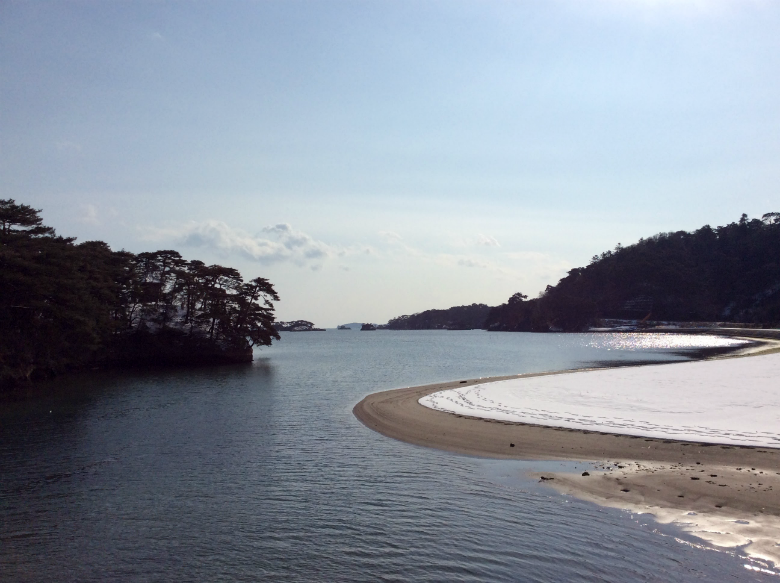 We moved onward, this time further up the shoreline to Fukuura Islands, a more famous and therefore much more touristy island. 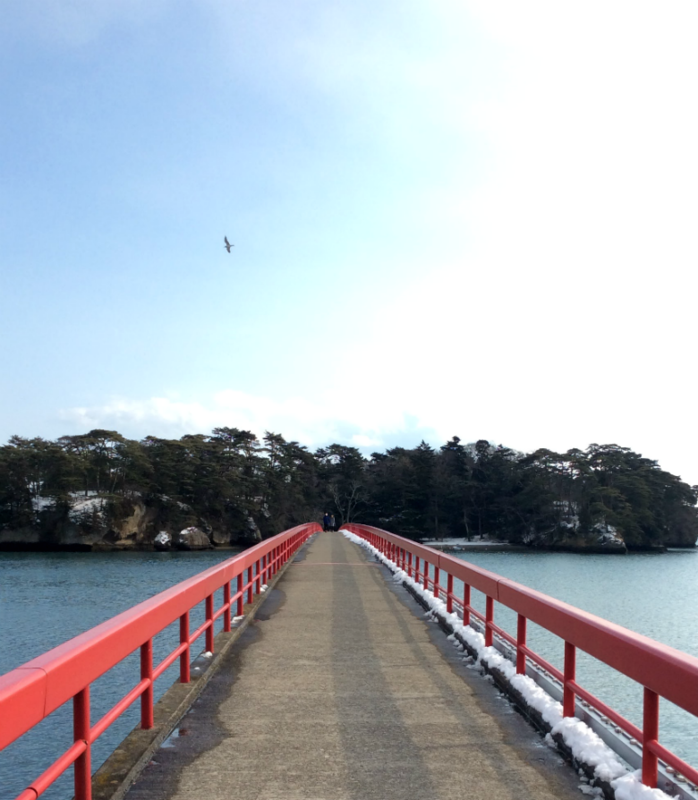 To get onto Fukuurajima (福浦島) we had to pay a small amount to cross the long red bridge connecting it to the mainland. 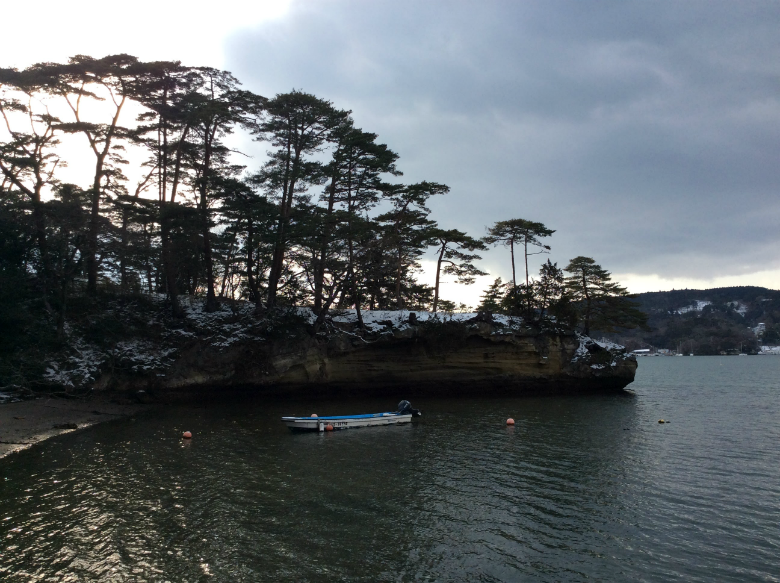 There were tourists milling around from other towns that had braved the cold to see the famous view of Matsushima. 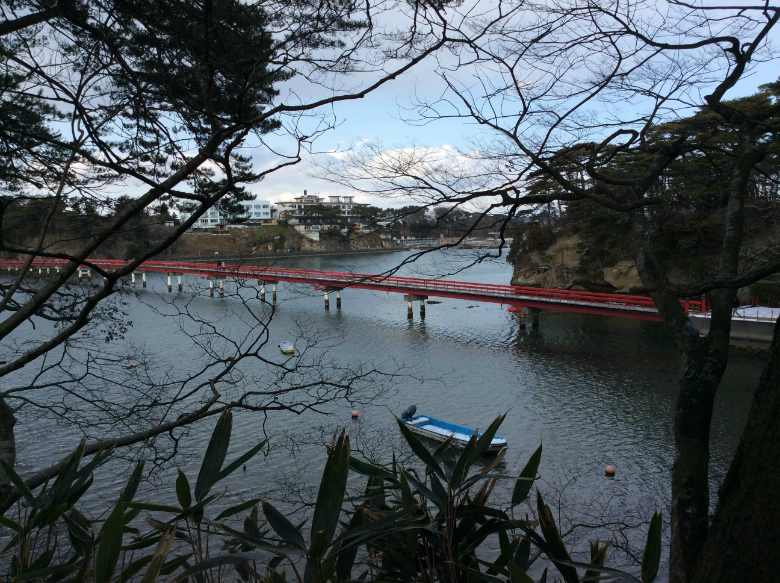 Once across the bridge we took the long path around the coast, weaving past a cafe where we bought a little daruma doll with a fortune rolled up inside of it and looped around up wooded paths to a view across the sea of some of the 260 islands of Matsushima. We sat on a bench and, in a very British way, ate the sandwiches we had made for ourselves in the morning. 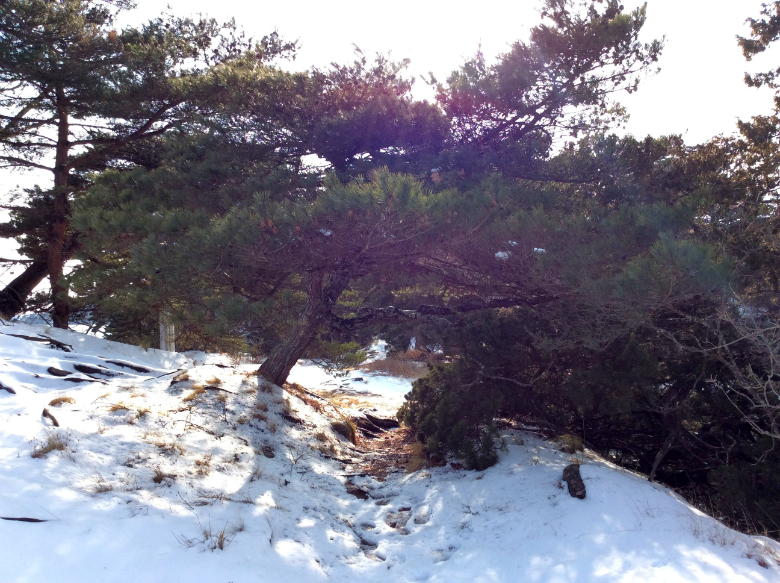 Basho was with us as we sat and looked at the pines in the breeze. 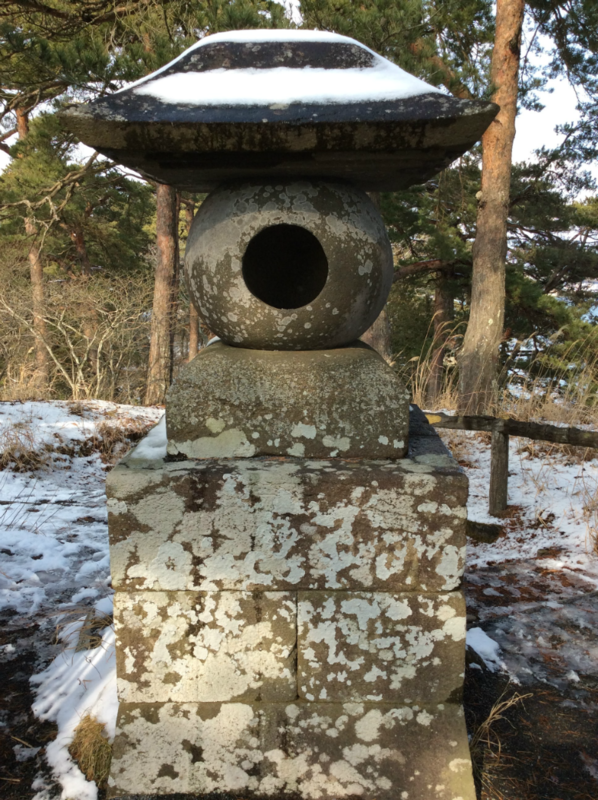 We read sections on Narrow Road to the Deep North and looked out at the different hunks of rocks glowing white in the dazzling January sun, the land rising and curving out of the blue like it always had done, like it was when Basho had sat here on his journey and questioned how something so beautiful could exist. 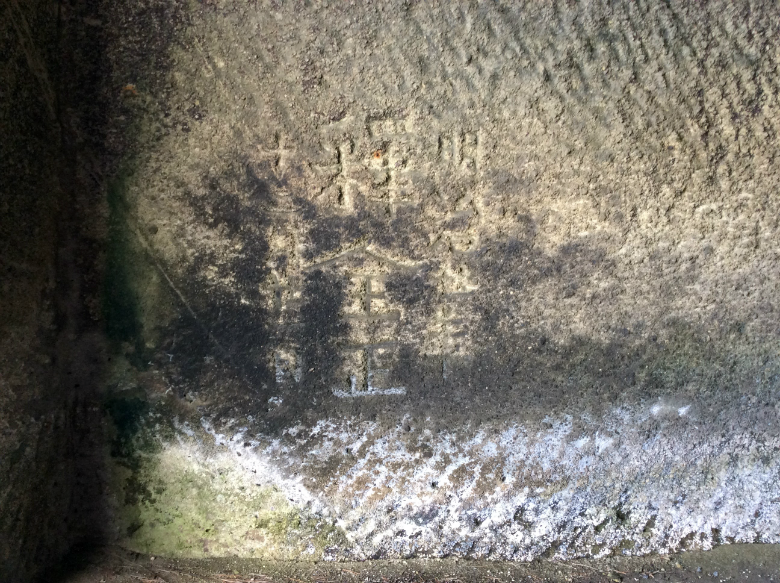 Basho’s land is still here. The perfect scattering of pine-clad islands, the textured blue seas, the sandy beaches, the waving pines and the winding paths are still here. Tourists are here too, but not lots of them and, if you come in the cold of the snow, you can find yourself a spot to be alone. 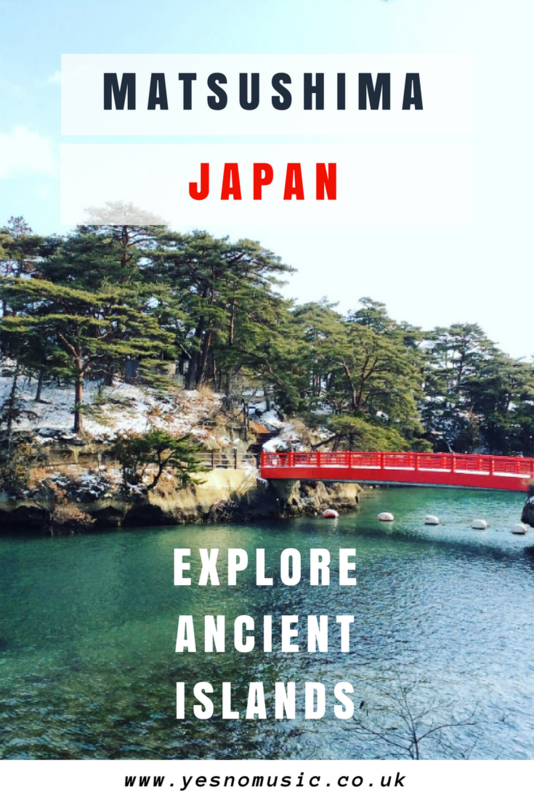 Sit and look across the famous vista of the pine islands, they have survived storms and tsunamis, look across the bay and see Japan as it was centuries ago, see the islands as they were and go on your own discovery of the deep untrod road to the north of Japan.